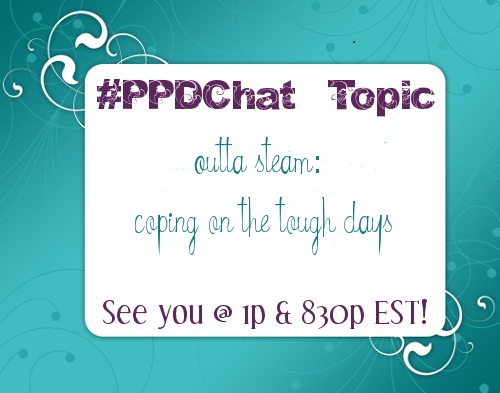 I am beyond excited about Monday night’s #PPDChat, y’all!!! For those of us who have been through a Perinatal Mood & Anxiety Disorder, we know that the relationship we have with how we feed our babies is a tough one. There are so many factors to consider. Dr. Meltzer-Brody & Stuebe are investigating this further and have graciously agreed to share their experiences and insights on Monday. I sincerely hope you will be able to make it to chat because it will be a great one! You can read more about Dr. Samantha Meltzer-Brody & Dr. Alison Stuebe by clicking on their names. Be sure to follow them on Twitter (usernames are in the announcement above) before the chat! New this week and going forward: Clicking on the announcement will take you directly to the Tweetchat page for #ppdchat so you can join in the discussion. Today, we’re focusing on the ways Perinatal Mood & Anxiety Disorders change us. Many of us know all too well the amount of energy it takes to fight through to ourselves during a Perinatal Mood & Anxiety Disorder. As someone who is now able to look back at my experiences instead of being caught in the midst of it, I see how that fight changed my outlook on life as well as changed almost everything inside me. While I have been remodeled, some of the old me remains. Isn’t this the way with all trauma and substantial life experiences? We are constantly growing and changing as life ebbs and flows through us, are we not? The 1:00pm ET chat will be a prelude to tonight’s chat with @WalkerKarraa regarding the amazing transformational power Perinatal Mood & Anxiety Disorders have in the lives of the women who experience them. I hope you’ll join us as we casually explore and discuss the ways PMAD’s have changed our lives during the afternoon chat. Then at 8:30pm ET, Dr. Walker Karraa will join us. I am excited about her joining #PPDChat as a guest, particularly on this topic as she has been talking to several women about this very thing, allowing her amazing insight into the overall transformational power of PMAD’s in our lives. To say I am excited about today’s topic would be a huge understatement. I cannot wait to discuss this with y’all!!! For more information about Walker and today’s topic, go here. See you at 1:00pm ET and hope you will join us at 8:30pm ET as well! Motherhood, heck, parenthood period, doesn’t come loaded with sick days or days off when the going gets tough. No, we have to steel ourselves to push through it. Sometimes we soar right on through whatever is flung in our direction and then there are times when we feel we fail miserably. With a Postpartum Mood Disorder on board, it gets even muckier. We barely have the energy to fight that in addition to taking care of our children, let alone tossing anything else on top of the flames. So how do you handle it when a tough day (or days) hits when you’re struggling? What if you get sick? What if everyone is sick? Or there’s an emergency family situation? Or..the list could go on. Today’s chat will focus on these situations. Feel free to join us to vent, share tips, or just hang out. We don’t promise to instantly cheer you up or fix all the tough in your life, but after today’s chats over on Twitter, you’ll know you aren’t alone. I get that my approach to Social Media and blogging isn’t exactly the most scientific. My roots are not in numbers, analytics, or ROI. While it’d be nice to be earning money at what I do, that’s not why I am here. I’m here to help people. Not to garner the most comments, followers, likes, retweets, etc. Sure, it’s nice when you manage to get something to trend or have a really good day with retweets on Twitter, but bottom line? I am here to help moms and families struggling with Postpartum Mood & Anxiety Disorders. If that means I have a slow day at the blog or I don’t blog at all, I’m okay with that. Direct Messages on Twitter, text messages, or phone calls that help a Mom figure out her next step or help a Dad feel a little less scared are worth far more than any comments, retweets, favorites, or likes. Hang on, folks. I’m still on my Social Media rampage. It was brought to my attention tonight that a certain blog tweeted a link to a piece about a certain aspect of Postpartum Depression. My friend responded to them, saying she’d been there and articles like theirs wrecked her when she was in the midst of things. Their response? Woman who hosts a weekly chat about Postpartum Depression twice every Monday says WHAAAAAA?!?!?! 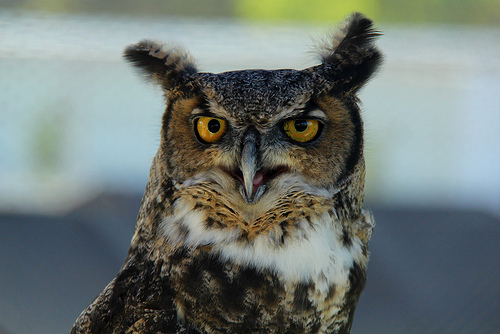 Wise Owl says WHOOOOOO do you think you are?!?! Every Monday I discuss it. For an hour. At 1pm and then again at 830pm ET. In 140 characters or less at a time. Most of my 100k tweets are thanks to tweets about Postpartum Depression, actually. And during the entire week, women and families discuss Postpartum Depression on Twitter. In LESS than 140 characters. Postpartum Depression is not too important to discuss on Twitter. If anything, it’s far too important to NOT discuss on Twitter. SEO helps you get both. But if you put something out on a platform in addition to where the actual post is located? Be prepared to discuss it on that platform. If you’re not prepared to discuss it then you shouldn’t share it. Anywhere. You also shouldn’t sensationalize things which don’t need to be sensationalized. Don’t use a term just to garner more page views if you’re not going to be responsible with how you present said material. Do no harm is a wonderful basic rule here. There have been several Postpartum related things I’ve chosen to not blog about simply because I know they would ultimately do more harm than good to my readers and the community I have fostered through #ppdchat. It’s not that I want to keep them in the dark, per-say, just that I know there are other sources they can get the information from should they choose. If, however, the information is incorrect or sensationalized, you better believe I’ll jump on it in a heartbeat to protect my community from being fed misinformation. If you’re not ready to discuss it, there’s an easy solution for you. Don’t hit publish. If you do hit publish, there’s no reason at all to be rude to someone who initiates conversation with you because you’re putting it out on Social Media. Responding as this account did violates the guidelines of Social Media – being social. Own your site. Own the words at your site. You put them out there, you need to stand behind them boldly. Also? If you’re not ready to discuss Postpartum Depression with a Mom who’s been through it and has legitimate concerns? Don’t hit publish either. It’s irresponsible and potentially harmful. Earlier today, something happened in my mentions on Twitter that made me go over to Facebook and rant for a few paragraphs. The more I think about it as the day passes, the more I feel it deserves more attention than just a small tirade on my personal Facebook account. It’s a lesson in how Social Media works and not just a rant against one particular person even though it started out as such. Social Media is a bold new world. Okay, maybe not so much any longer, in fact, some of us are old hat at the methods and etiquette of the Social Media realm. But, for those of us who are old hat, it’s important to remember that there are people still discovering Social Media and adjusting to the lay of the land. These new residents may not understand how to go about getting noticed and in the process of trying to get someone’s attention may very well break a well-known rule of etiquette. Is it our responsibility, as old-hat, to completely ignore them, or should we take the time to explain to them the proper way of getting things done? Most of the time, I ignore them unless I have reason not to do so – such as they have made an effort to actually engage in conversation with me. You know, the first word in SOCIAL media. SOCIAL. So many forget this word but it is a crucial word to remember. 1.pertaining to, devoted to, or characterized by friendly companionship or relations: a social club. 2. seeking or enjoying the companionship of others; friendly; sociable; gregarious. 3. of, pertaining to, connected with, or suited to polite or fashionable society: a social event. 4. living or disposed to live in companionship with others or in a community, rather than in isolation: People are social beings. 5.of or pertaining to human society, especially as a body divided into classes according to status: social rank. Nowhere in there does it say that social requires you to yell at or insinuate yourself into the good graces of someone. Although sadly, that does seem to be the case for many these days. I am of the stock which believes upward and onward should happen organically when it is earned by genuine methods, not by skirting the “rules” set forth. Books, lots of them, of the paper and electronic variety, have been written about the proper etiquette of Social Media. Some of them are right, some of them are just out to make a quick buck. For me, the bottom line to Social Media is to be social yet balance it just enough with the message I am here to provide which is that no one is alone in the battle against Postpartum Mood Disorders. The very reason I am on the Internet REQUIRES me to be sociable. Why? Because if I am at all fake, at all not real, and don’t exhibit compassion, honesty, integrity, and knowledge about my message, I have failed. No one will trust me, no one will seek out my help, and I will fail. So. I tweet. A lot. About everything. About football. Bacon, hockey, beer, F1 racing, books, sometimes politics and faith, love, life, laughter, and everything in between. There’s a line, sure, because for everyone, there’s a line. Although for some… anyway, I digress. But I am REAL on Twitter and on FB because it’s part of my desired online identity. The more open I am, the more likely it is that I will reach that mom or dad or family member who is struggling and doesn’t know where to turn. My identity, my “truth” factor is far more important to me than any numbers or analytic algorithm. I have worked very hard to get to where I am in the Twittersphere. Some of it has come from deep heartache and needing Twitter to get through. But the bulk of it has come through developing #ppdchat and being honest about Postpartum Depression. So when someone who has not put in their time and is not social with me sends me a tweet asking me to share something they wrote, like they did this morning, I get annoyed. Why? Because I will share if I want to, not because you asked me to do so. I’m also more likely to share if you’ve taken the time to be social and engaging with me as opposed to only tweeting me to ask me to share your stuff when you’re obviously not taking the time or energy to build up your own following. Say hi. Talk to me about more than your business or your blog. Be a real and transparent person. Own your words and your presence. I didn’t just suddenly “get” over 4k followers on Twitter. No. I EARNED them. I didn’t pay for them. I EARNED them by being social and taking the time to get to know people. I don’t believe in Team Followback or any “get followers quick” scam. Sure, I don’t have daily conversations with every single one of my followers, but I am also not just plugging my blog, my chat, or a product. I am ME and I encourage others to boldly be themselves. To take blatant advantage of my hard work for some free publicity for your work without being social and engaging first is downright disrespectful of what I’ve worked to do with my image and my brand. I am actually quite picky about what I share on Twitter because of the nature of my targeted audience – moms and families struggling with postpartum mood disorders. Even if your post applies to either, unless I know you and trust that you are only putting forth the best of the best, I don’t just retweet anything out there. To do so would be disingenuous to my followers and ruin the integrity of my identity. I am fiercely protective of my integrity. I am also fiercely protective of #ppdchat. No one truly “owns” a hashtag, but when you start one, you hope for the best. I am thankful no spam has occurred with this hashtag and people have used it for the original intended purpose. The community springing forth from this hashtag is gorgeous, strong, and wonderful. I hope it continues to be such for a long time coming. I do not take kindly to folks abusing this hashtag. As I pointed out earlier, Social Media is SOCIAL, it’s not someone standing in a mall handing out stacks of pamphlets to someone saying, “Here. 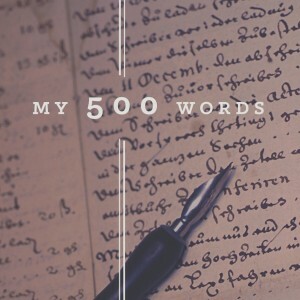 I made this now go give it to someone else.” Social Media is hanging out at a coffee shop with friends, having meaningful conversations and then deciding to share certain aspects of those conversations and ideas born in those conversations. Social Media is NOT one person with a megaphone. Because if it was, I’d want to smash the megaphone and not have a damn thing to do with Social Media. Treat Social Media as you would a get together with a close friend and you’re already way ahead of the pack. Treat Social Media as if you’re a street vendor trying to get as many sales as possible and we’ll happily ignore you as we sip lattes and change the world one tweet (and follower) at a time.